Last week some grumbling and complaining I had done to my husband came back to bite me during a bit of an argument. I felt betrayed! Shouldn't my husband, my best friend, be a safe place for me to complain about something ... to vent? To get things off my chest? 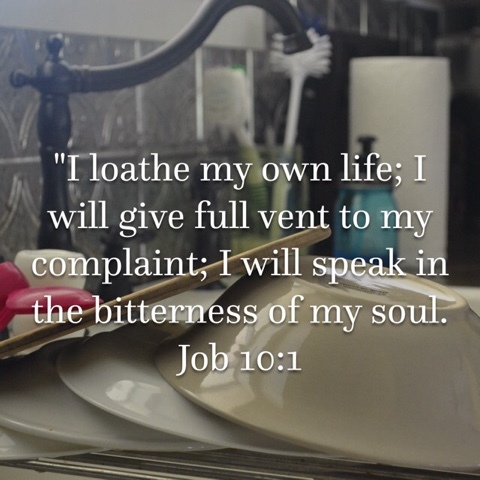 Something a dear wise friend said sent me scrambling for my Bible and looking up what it has to say about complaining. Obviously we aren't to slander outright about others. That one seems fairly straightforward ... though I imagine almost anyone reading this who has attended church for any amount of time has probably run into it at some point within the church walls. My dear ladies, saying "bless her heart" or "I don't usually say things like this" doesn't deafen God for a moment so you can share what is still gossip. And we probably shouldn't be "complainers" (I got called that once ... in middle school ... wow Amanda) going about grumbling about everything to anyone who will listen. But what about venting to our husband? In our house? After the kids are in bed? When no one else will hear? The Israelites ... former slaves, rescued from Egypt ... eyewitnesses to God's power ... well, they came up a lot. Apparently they did a lot of complaining. And ... well ... it wasn't just like God rolled His eyes and said "I'd rather my children didn't do that." The people were moaning and complaining about meat. Meat. Complaining to the point of saying things along the lines of "Man, maybe being Egypt's slaves wasn't so bad because we got to eat MEAT." And God's anger was kindled. Not directed ... not aimed ... not fired ... and just the kindling of His anger began to burn the edges of the camp. Because they were whining about meat. All we have to eat is this stuff YOU miraculously give us every morning ... but we miss meat. 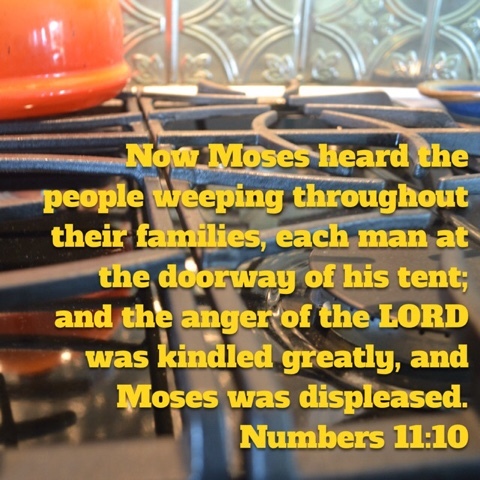 The Bible actually says they were weeping throughout their families and at the doorways of their tents. Obviously Moses (also annoyed) could hear them. 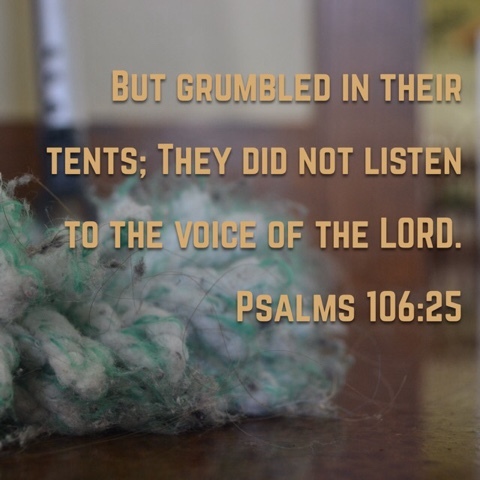 Perhaps complaining in your tent can be heard outside ... but even if it can't ... perhaps it is the attitude of the heart that is the real problem. I'm not even finished writing this blog ... and I had every worldly reason to complain the last couple of days. And even knowing these things I've by no means been perfect about keeping my mouth shut. But I have tried to find things to be thankful for. 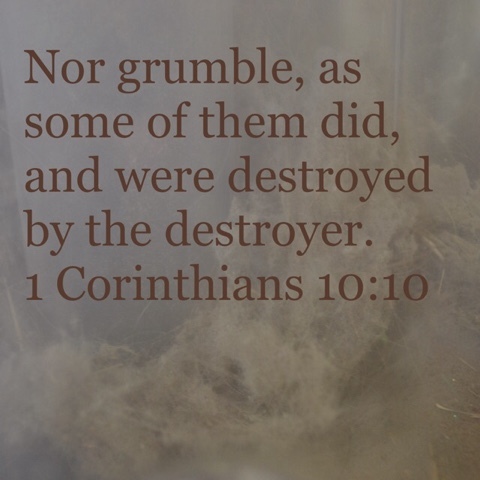 Because when God's wrath is kindled, it isn't pretty. He loves us, but He is our Father, not our buddy. 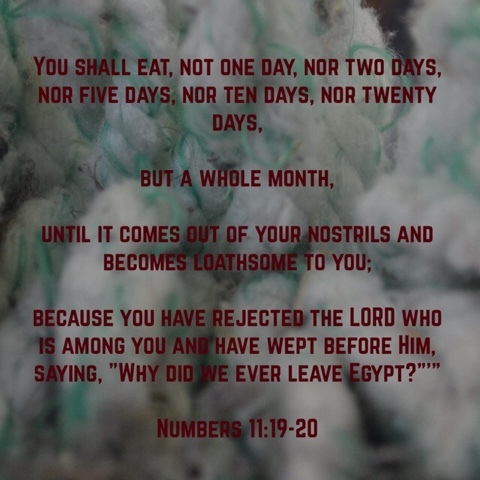 He sent the Israelites meat alright ... but I don't think I'd want to "get what I asked for" in the way Numbers describes that miraculous provision. So even "in my tent" I need to speak my blessings. I need to pour out gratitude. 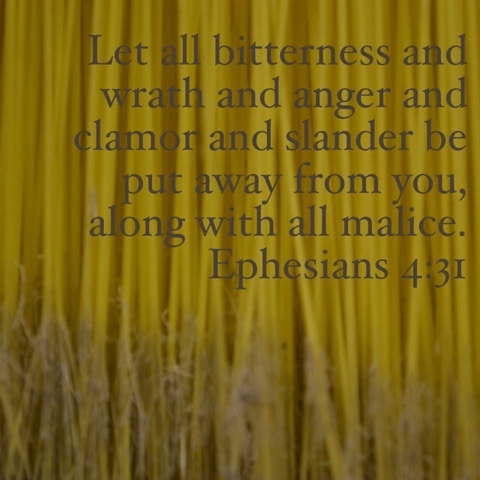 I need to cease grumbling and complaining and venting. 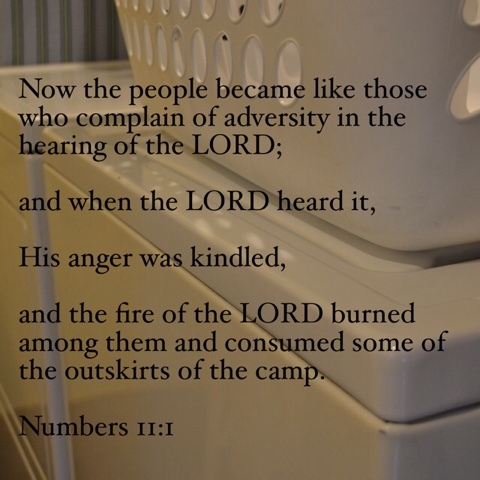 If God's anger burned at His chosen people when they did it in their tents, I need to watch my mouth. And my heart attitude. His provision may not always look like what I want it to look like ... but don't I trust Him? If I get surprised by a bill instead of a bag of money ... I need to trust His plan and keep on thanking Him! I may long for meat, but I need to be saying thank you for the manna in the mean time. So ... is there ever a time to complain? God wants to hear our hurts. And I found two instances of people complaining directly to God (not to their spouses, their parents, or their BFFs). They took their soul-wounded and weary hearts directly to the throne. They weren't complaining about what they had to eat. They weren't complaining about the weather. They weren't moaning about dish-pan hands and the dark circles under their eyes. They were pouring out anguish of spirit ... bitterness of soul. My conclusion? 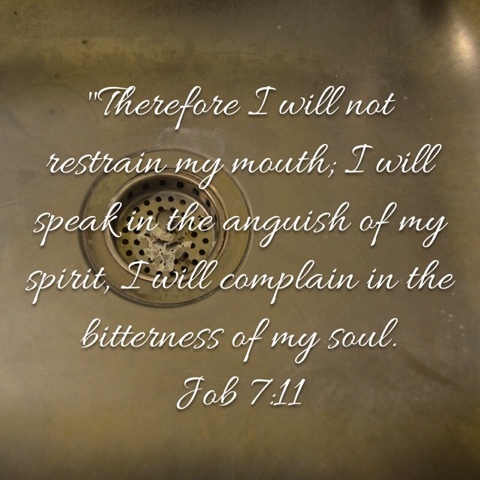 When I complain about temporary things, I'm losing the spiritual battle raging around me. I'm letting the inconveniences and hurt feelings defeat me. Instead I need to stand up to them and when my soul is overwhelmed seek my strength in the Lord ... not my relief from temporary discomforts.